I was watching something on tv recently, about celebrities and their best skincare secrets. One of the things mentioned, was that Scarlett Johansson is known to use Apple Cider Vinegar on her skin. I remembered that I had a bottle in my cupboard, so I decided to search for some information on how to use it as a toner. I came across quite a few different recipes and variations on how to use it, so I decided to try a few and see what method worked best with my skin. The combination I settled on is one part Apple Cider Vinegar, to two parts filtered water. It's as simple as that, and it does wonders as a toner for my skin! I like to keep it in an airtight glass jar, but you can store it however you like. I have quite sensitive skin, and I always prefer to use natural products where possible, so I really liked the idea of this, and I was pleasantly surprised at how lovely it is to use! 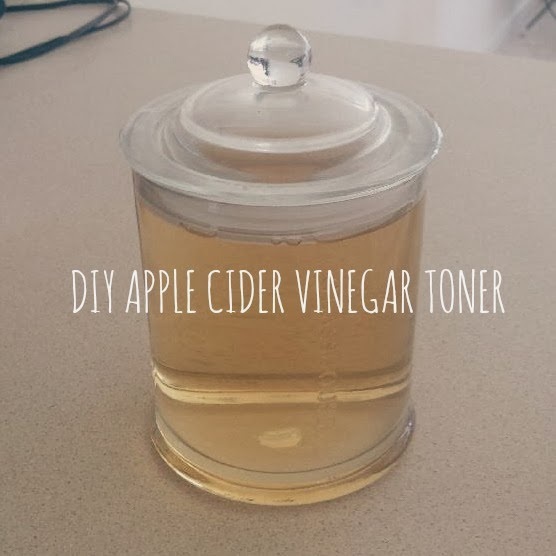 If you don't like the smell of ACV - it's quite potent - then this might not be for you, but I find that the smell is only there as I'm putting it on, and then it disappears. Another thing to be aware of, is that this WILL sting if applied to an open sore or cut, so be careful to avoid using it on any areas you may have an abrasion. I really like using this toner, and I find it leaves my skin feeling really clean and refreshed. I follow it up with my Vitamin C serum and my skin feels amazing! You can find ACV in most supermarkets and it is generally very affordable, however for this purpose it is definitely better to buy organic from a health food store where possible. I would love to know if you decide to give this a try, so please do comment and let me know what you think and whether or not you find it beneficial to your skin. 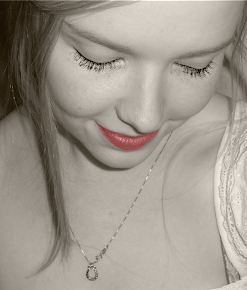 I hope you will enjoy it as much as I have! I'm definitely going to be giving this one a go! I can't believe I hadn't actually come across the idea till now. I've recently be learning about the health benefits of apple cider vinegar and there's just so many benefits to it. Do you know how it will go for oily skin? I think it would be fine for oily skin. I have an oily t zone and it seems to work well for that.